The Kidney Cancer Association was part of the force behind the many kidney cancer advancements in the past decade, but they won't stop there. When the Kidney Cancer Association came into being 26 years ago, there was pretty much one treatment for the disease — interleukin-2 — and not everyone could tolerate it. During that sea change, the KCA was not merely swept along by the tide. It was part of the gravitational force that kept the quest for advancement in motion. For patients, the KCA does that by providing online educational materials and videos and patient support communities; organizing face-to-face support groups; hosting large educational patient meetings; helping to arrange for second opinions; and offering a hotline through which an oncology nurse answers medical questions. To support doctors and the pharmaceutical industry, the KCA hosts two international physician education symposia each year that offer reviews of the latest research, and has a licensing agreement with the publisher of the Kidney Cancer Journal. When it comes to research, there’s certainly been a lot to communicate during the past decade. Targeted drugs Nexavar (sorafenib) and Sutent (sunitinub) reached the market at the end of 2005, “and since then, every other year or so, there have been a couple more,” Konosky says. Most of those have been targeted therapies, but a monoclonal antibody, Avastin (bevacizumab) — an anti-angiogenesis drug that kills the blood vessels that feed tumors — was approved in 2009. But the KCA doesn’t want progress to end there. As a means of keeping research active, the organization funds young investigator awards each year, designed to support the work of newer scientists and inspire them to stay involved in solving the mystery of kidney cancer. “A lot of the researchers who were around when we started are still at the table now and, as they retire, we don’t want to lose momentum,” Konosky says. “Many of the doctors we’ve funded have stayed involved in our organization and been part of trials at their institutions and continued their research.” They include Thai Ho, MD, PhD, of the Mayo Clinic, who remains deeply involved in research into the mechanisms of renal cell carcinoma, and Kathleen M. Mahoney, MD, PhD, of Beth Israel Deaconess, who investigates immunotherapy. Traditionally, the KCA has funded two annual grants — one through the American Society of Clinical Oncology and one through the American Urological Association. This year, it is funding two additional grants under its own name. 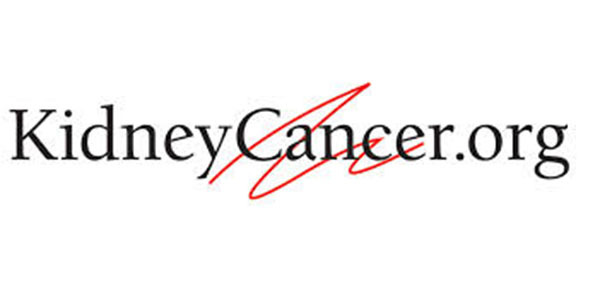 The KCA also contributes money each year to supplement a large federal grant — through the National Cancer Institute’s Specialized Programs of Research — that is funding kidney cancer research at Beth Israel Deaconess Medical Center in Boston. As examples of its level of giving, the KCA notes that it spent $166,000 on research grants in 2014 and $248,000 on such grants in 2013. The KCA also collaborates with the pharmaceutical industry by doing things such as asking companies to sponsor its physician education meetings and provide attendees with information about drugs in the pipeline. These relationships give KCA access to the principal investigators of clinical trials, who then tape videos and podcasts and write articles aimed at educating patients and their caregivers about experimental drugs. Investigators also provide KCA’s members with clinical trial enrollment information. That’s important to the KCA, which wants its members to understand what can be gained from clinical trials, both for patients and for science. Those without health insurance and a high income, for instance, may find that trials provide help with the practical problem of paying for treatment. And when it comes to the scientific arena, Konosky says, there’s more work to be done. When she looks back at the gains the KCA has helped to spur, Konosky can’t help but feel pleased. She jumped into action with the group as a fundraiser, and then as a staff member in the early 2000s after a friend was diagnosed with a kidney cancer that eventually became fatal.